A report from the Anti-Defamation League (ADL) released in October 2017 confirmed what we already knew: anti-Semitic incidents are on the rise in the United States and around the world. The report shows a 67 percent increase in physical assaults, vandalism and attacks on Jewish institutions over the same period last year. “Every single day, white supremacists target members of the Jewish community — holding rallies in public, recruiting on college campuses, attacking journalists on social media, and even targeting young children,” said Jonathan Greenblatt, ADL’s CEO. College campuses have become a hotbed for this activity. In the first three quarters of 2017, 118 anti-Semitic incidents were reported, a 59 percent increase over the same period of 2016. But, through perseverance and advocacy, AEPi is fighting back against this hatred and working to make our campuses more welcoming, more tolerant and safer. 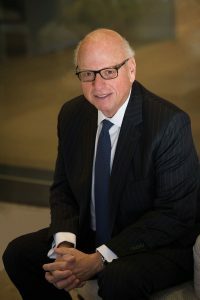 Brother Howard M. Lorber (C.W. Post College, 1970) has taken on a leading role in this battle. As the chairman of the U.S. Holocaust Memorial Council, Brother Lorber leads the board that runs the United States Holocaust Museum (USHMM). 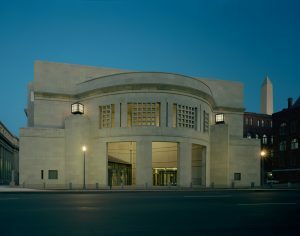 Under Brother Lorber’s leadership, the USHMM educates the public about the six million Jews murdered systematically by the Nazi regime and its collaborators. The museum also conducts research and runs programs and outreach to combat hate in the world today. AEPi has believed in this mission since the beginning. Before the museum had officially opened its doors, AEPi undergraduate Brothers had raised more than $150,000 for the museum. AEPi is the only campus organization listed as a founding donor to the USHMM. 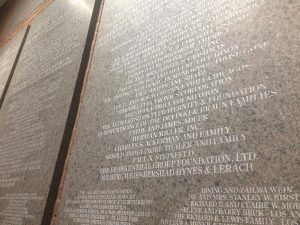 “It’s not a matter of just giving money, it’s a matter of being involved, understanding the cause, understanding the importance of making sure people never forget, and understanding the horror of what happened during that genocide,” said Lorber when discussing the importance of making a difference. AEPi Brothers have repaired synagogues, helped run emergency drills and organized campus-wide rallies against anti-Semitism, uniting communities in the spirit of togetherness. Our Brothers are also on the front lines of the fight against the efforts to delegitimize Israel.